Asbestos Cloth is a fabric to form pliable mineral textile with high tensile strength and high resistance to heat, flame, chemicals and weather. It is made from 100% pure longer spinning fibre of Asbestos. • Asbestos Cloth is for manufacture of fire-resistant gloves, suits and other clothing for fire fighting. • Asbestos Cloth is Also for heat-resistant gloves, aprons etc. for use in glass works foundries, chemical works, welding shops, plastic moulding shops, etc. • Asbestos Cloth is using as safety curtains in theatres, ships and aircraft and wherever a fire barrier is required. 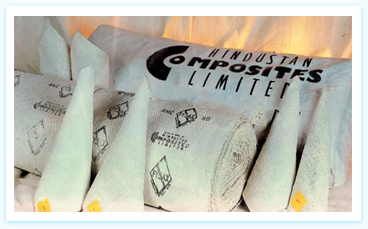 • We manufacture Asbestos Cloth for the manufacture of fire blankets for use in ships, schools, institutions, cinema rooms, kitchens, garages, etc. and wherever there may be a need for clean and effective means of smothering during small outbreaks of fire. • Width: 1mtr. X 1mtr. & Also Available in 2mtrs. X 2mtrs.